The Zone 1 American Legion baseball season begins on June 17 with opening-day games. The zone schedule has been changed to 15 regular-season games after the Motor City entry folded because it could not find a coach. BANGOR, Maine — American Legion Zone 1 baseball officials have adopted a 15-game, regular-season schedule for the 2017 season that begins on Saturday, June 17. Opening-day games in the six-team zone will match Bangor at Brewer, Hampden at Skowhegan and Post 51 of Oakland at Trenton. The June 17 schedule could change for some teams if their respective high school programs qualify for state championship games, which also are scheduled for that date. Zone 1 teams will play each other three times leading to a five-team Zone 1 tournament that begins July 20, according to Zone 1 commissioner Dave Paul. The regular-season schedule provides for single games largely on Tuesday, Thursday and Saturday of each week with 10, seven-inning games and five nine-inning games. The lone exceptions will have a full slate of games on Monday, July 3, to provide an off day for all teams on the Fourth of July, and games on both Monday, July 17, and Tuesday, July 18, to conclude the schedule. 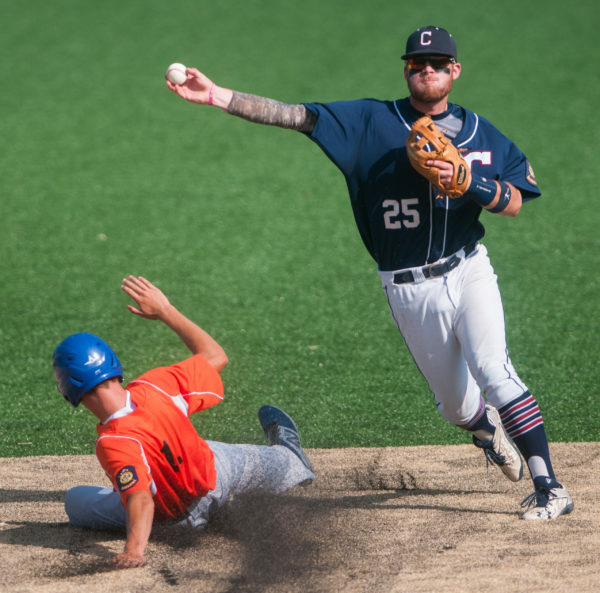 All Saturday games start at noon, while weekday games begin at the following times: 5:30 p.m. for the Acadians; 6:30 p.m. for Post 51 and Skowhegan, which both will play home games at Colby College in Waterville; and 7:30 p.m for Bangor, Hampden and Brewer. Postseason play will consist entirely of nine-inning contests, beginning with a play-in game between the Nos. 4 and 5 seeds on July 20 at Husson University in Bangor. That will be followed by the four-team, double-elimination phase of the zone tournament, with the top two finishers qualifying for the 2017 state American Legion tournament that will begin July 26, also at the Winkin Complex on the campus of Husson University. This will mark the first summer that American Legion baseball nationwide will adhere to pitch-count limits rather than innings pitched as the standard. Under the new American Legion rules, Senior Legion pitchers will not be able to exceed 120 pitches in any single day, though when pitchers reach the limit in the middle of an at-bat they may finish pitching to that batter before being replaced. The original Legion rule had any pitcher throwing one to 45 pitches in a day requiring one day of rest, but that was revised in March to allow for specialists such as closers to pitch on consecutive days provided they adhere to the appropriate rest and appearance rules. Now pitchers who throw one to 30 pitches in a day will require no rest days, while those throwing between 31 and 45 pitches will require one day of rest. Other pitch-count standards will remain the same: 46 to 60 pitches requires two days of rest, 61 to 75 pitches requires three days of rest and 76 or more pitches will require four days of rest. Pitchers will not be allowed to make more than two appearances during any three-day span. Additionally, the new intentional walk rule adopted earlier this year by Major League Baseball that allows a manager to signal his decision to home plate instead of having the pitcher throw four pitches outside of the strike zone will also apply to American Legion games.